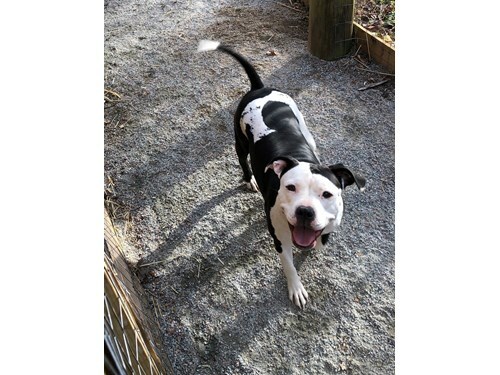 Kia is a black and white female pit bull, 55 pounds wearing a cream collar with green cactus on it. Her last known location was 6705 Clark road Powhatan Virginia 23139. She was last seen traveling with a blue female pit bull, 52 pounds wearing a teal martingale collar with a brass nameplate with my name and phone number on it.